Whenever possible, choose fresh oregano over the dried form of the herb since it is superior in flavor. The leaves of fresh oregano should look fresh and be a vibrant green in color, while the stems should be firm. They should be free from dark spots or yellowing. In a dish, combine bread crumbs, basil, oregano, garlic powder and onion powder. 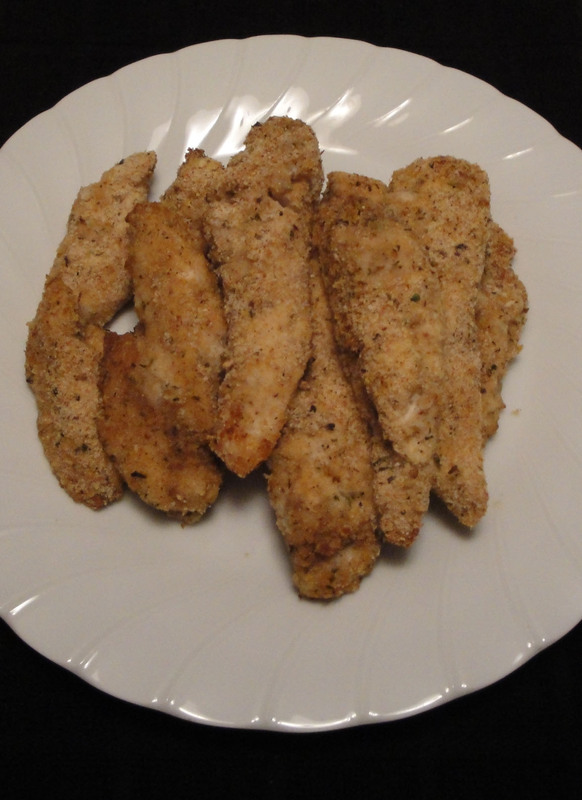 Brush chicken strips with olive oil. Season chicken with salt and pepper. Dredge chicken strips in the bread crumb mixture. Place chicken on lightly greased sheet pan, single layer. Bake 30 minutes or until chicken is cooked through, and no longer pink in center, turning once. Serve with your favorite dipping sauce. Enjoy! I love the smell of oregano, often use it for pasta but have never did it for chicken. I will keep in mind to use the fresh one. I love the taste of fresh oregano. It's definitly something you should try if you're used to the dried kind. Thanks for reminding me how much I love it. That looks yum , Christine ! I love adding different herbs in my dishes , too ! I love chicken and this healthier way of cooking sounds great! Way better than fast food. I definitely agree that fresh oregano is the way to go. Fresh herbs in general are always better. Great tip. The chicken looks delicious. Mmm these sound simple & delicious! Perfect for a week night meal. Yum! I like that you used basil! It sounds simple and delicious. I've been using the dried oregano for years, it's time to give the fresh a try. I will also have to make these chicken sticks for Gabbi, she's hooked on the Mickey D's nuggets (Ew)! These look like a superior, healthier version of the chicken fingers I adored as a child. Fabulous! Yum! It sounds delish! I would think about adding some parmesan and maybe some sesame seeds to the bread crumbs.